The source of inspiration for the famous cartoon character, Uzumaki Naruto, the Naruto Whirlpools are tidal pools that occur along the Shikoku coast of the Naruto Straits. 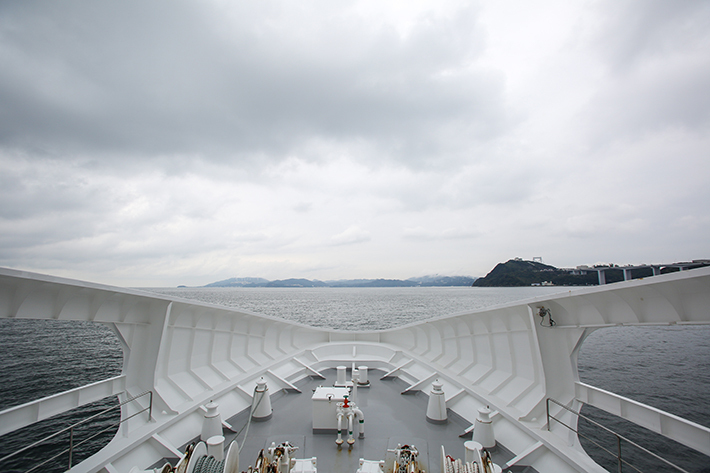 A true wonder of nature created from the clash of tides from the Seto Inland Sea and the Pacific Ocean, the views Naruto Whirlpools offer are so magnificent that they alone would justify a trip to Tokushima. 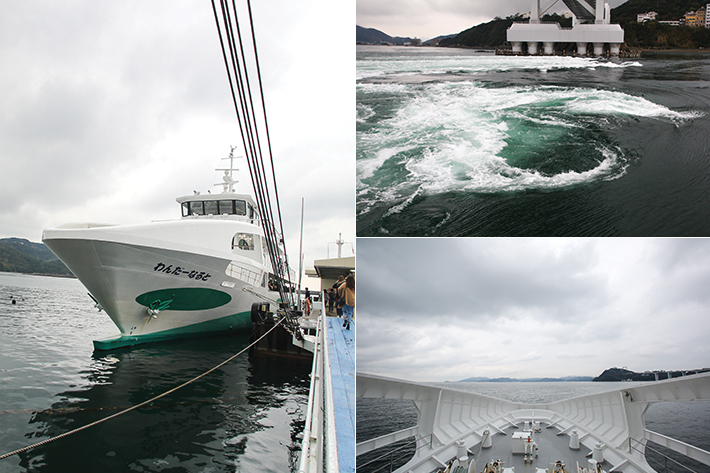 Although one can admire the whirlpools from the Uzu-no-Michi Walkway, what could compare with encountering the whirlpools right before your very eyes on a “Wonder Naruto” boat tour? Read on to find out what you can expect from this boat tour. 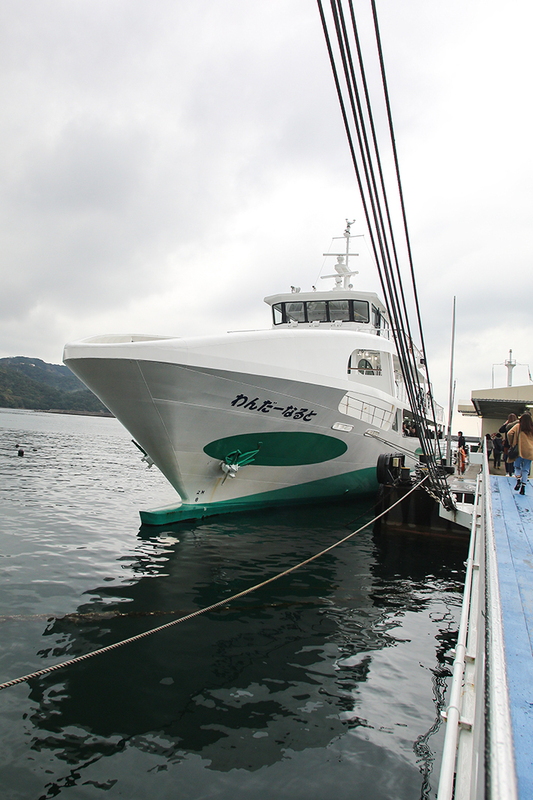 Under the Naruto Kanko Kisen (Naruto Sightseeing Steamship Co.), there are two different vessels—the Wonder Naruto and Aqua Eddy—which will take you to see the Naruto Whirlpools, the difference lying in the fact that the latter is an underwater sightseeing boat with an underwater observatory room. We headed out to the Naruto Whirlpools on the Wonder Naruto which has a ticket fee of ¥1,800 per adult and ¥900 per child. The Wonder Naruto makes about 12 trips per day to the tidal pools and your entire trip last approximately 30 minutes. Within a short ten-minute boat ride, we arrived at the Naruto Whirlpools which left us stunned and captivated by its beauty. The entire experience of watching the tidal pools form and dissolve was so thrilling and it is one sight that we would never be tired of. 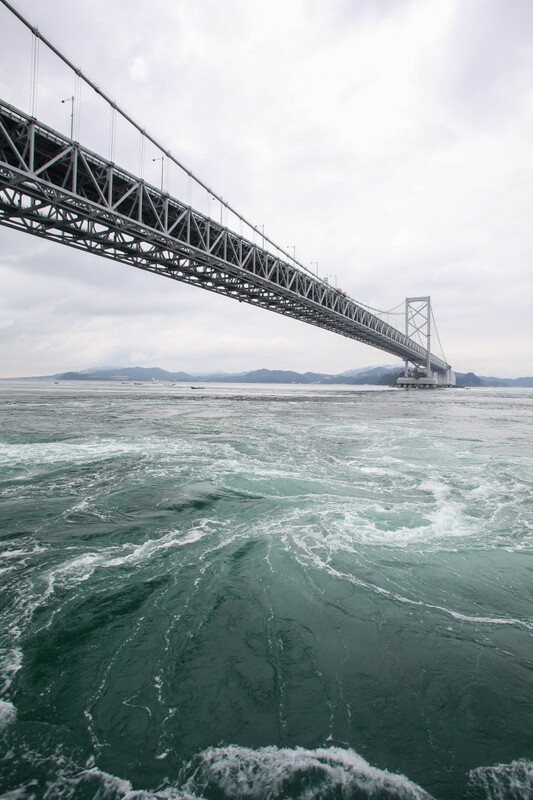 For the best views of the whirlpool, do check out the monthly tide table—which will indicate the times with the fastest speed of the current in the Naruto Straits—and arrange your visit within one and a half hours before or after the stated time. 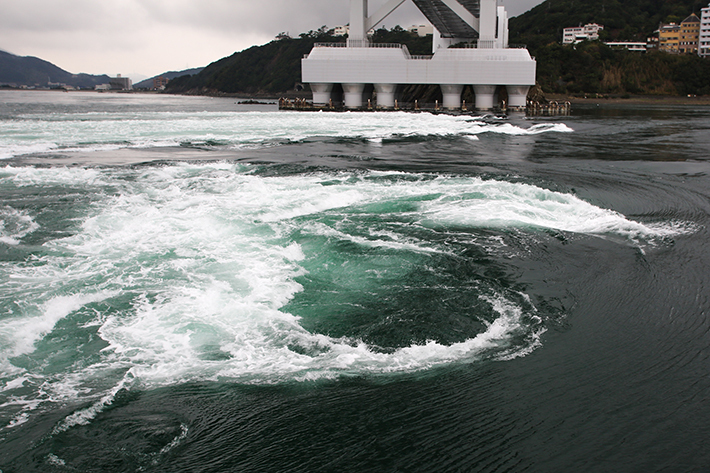 Otherwise, the prime viewing season for the Naruto Whirlpools would be during spring and autumn.